School children across the country endured a Picture Day this month. No problem for boys. They throw on their least smelly shirt, run a mousse-covered comb through their hair and walk in the rain to school. Girls spend most of the month agonizing about this one day each year when their looks will be documented for the laughter of posterity for centuries. I dreaded Picture Day like a math test. Each year I hoped my youthful face would bring modeling agents flocking to my door. Not so. Every year there was a lack of agents or flocking on my porch step. I’ve learned it’s not that I’m not photogenic, it’s just my face is really stupid looking. Let’s travel back in time to first grade, when there was still hope for my photographic future. 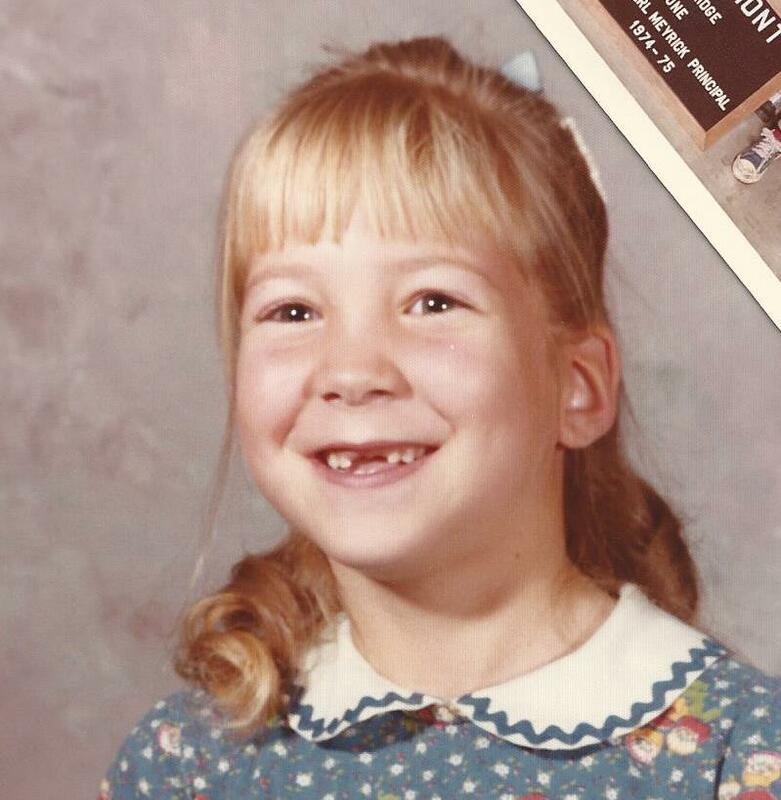 Notice the obvious lack of front teeth. Well, my dentist felt my teeth were being lazy, taking too long to grow in. So he devised a tortuous plan to slit my gums, attach a chain to my teeth and pull them down with the help of a pair of oxen. You think I’m joking. 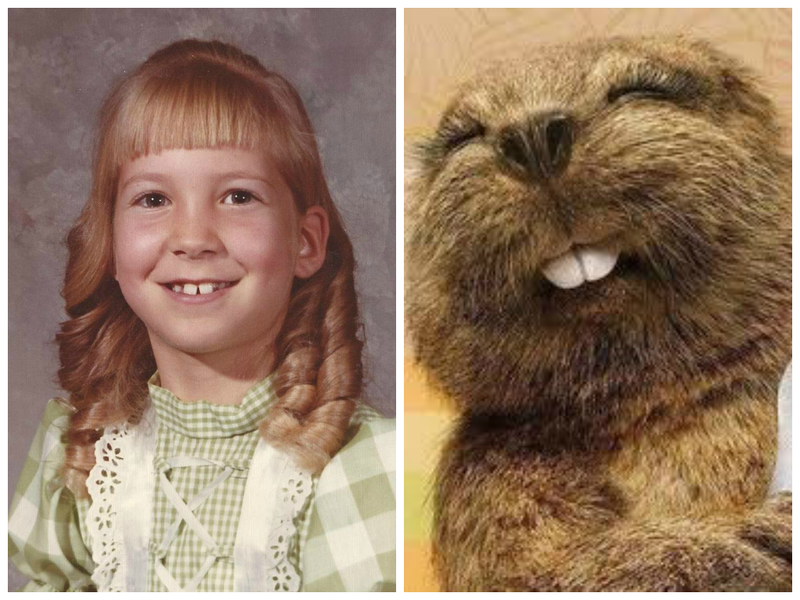 The result created my second grade photo (below) and a fear of all things dentisty. If you can’t tell, I’m the one on the left. 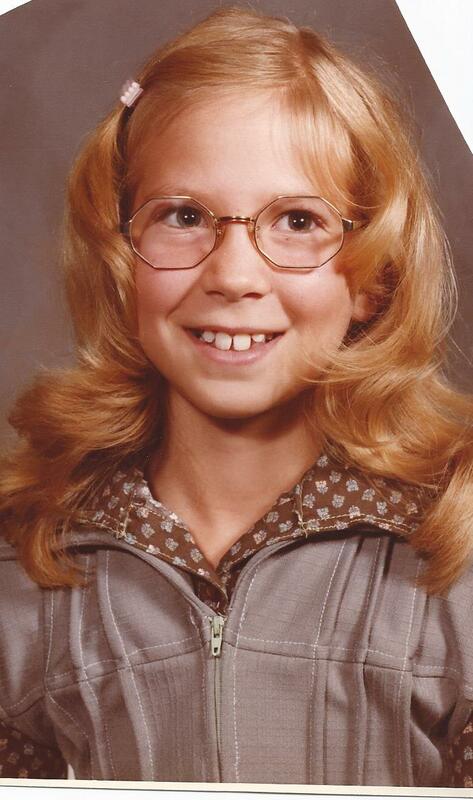 Let’s jump ahead to fourth grade where, not only did I have to contend with front teeth the size of 2x4s, but with glasses as well. And the homemade, avocado green, polyester jumpsuit. Things only spiraled downhill from there. 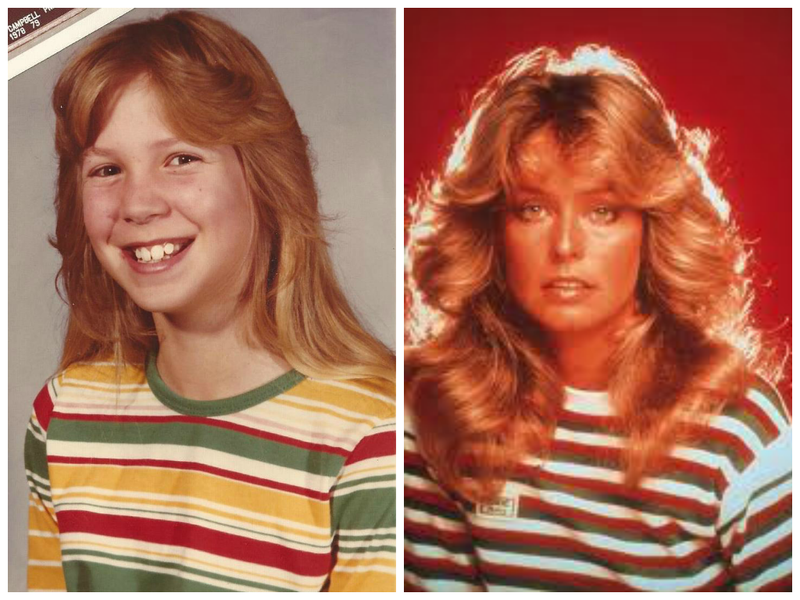 By eighth grade, my Farrah hair was in full bloom, in what I hoped would prove a distraction to the hideous silver braces I wore to fix my front teeth that my dentist ruined in the first place. I’ve avoided all things photographic ever since. My husband never understands why I run from cameras and group photos. Maybe he gets it now. Thanks for making me choke on my coffee! I laughed so hard with that beaver picture. Uncanny resemblance. Of me, not you. You lived my life! And I only laughed because I can so relate to the torture of picture day. 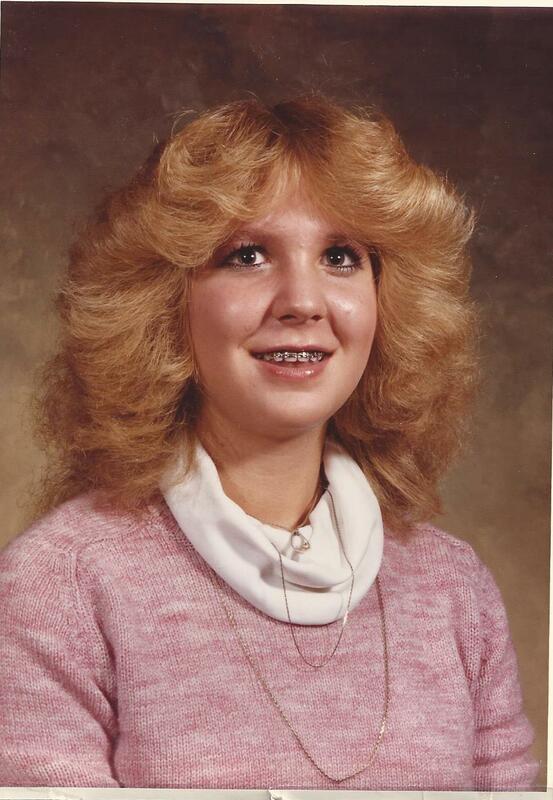 Worse was when you had a great hair morning but your picture would be taken at the end of the day, and they had “hair stylists” to fix it for you! Many a center part did I have to endure. Ugh. It was hard trying to go through the day without moving your head so your hair stays in place.